Manufacturer of Chilled Water Pipe Line. Our product range also comprises of PP Socket Fusion, Piping Grid and PP Chemical Tanks. 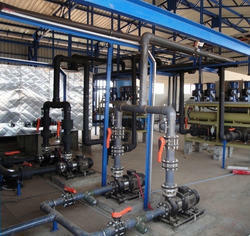 We have emerged as the leading organization for providing Chilled Water Pipe Line. Our water pipe lines are engineered with expertise combine with latest technology and are produced in our state of the art manufacturing facilities. We provide these water pipe lines in customized options as per the particular needs of the clients. These water pipe lines are inspected on numerous parameters in order to ensure its strength.